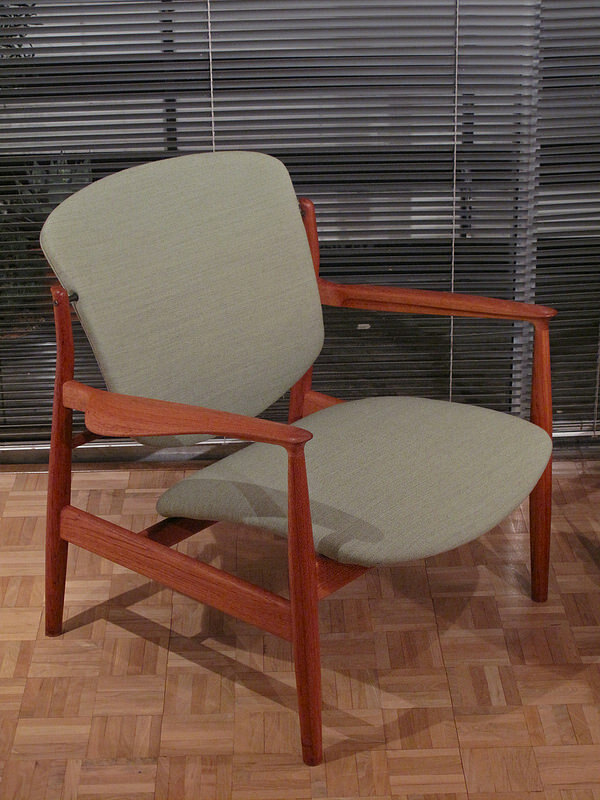 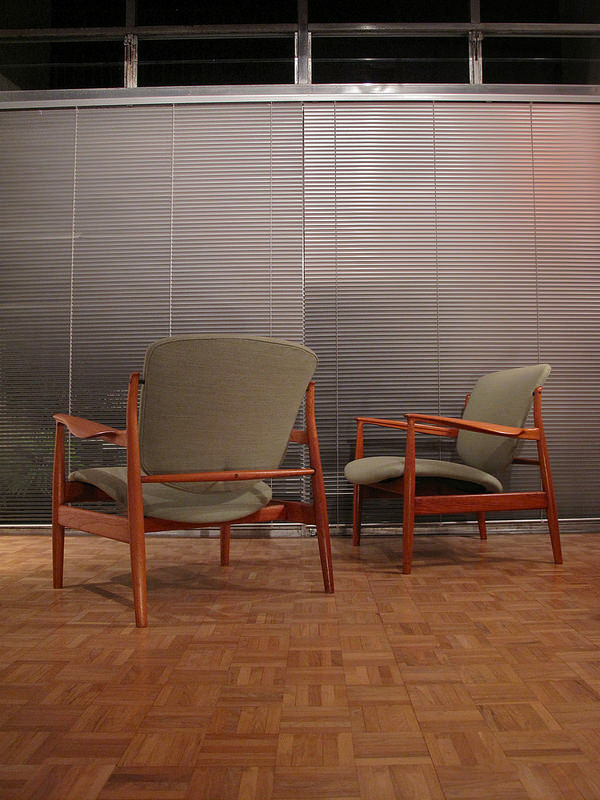 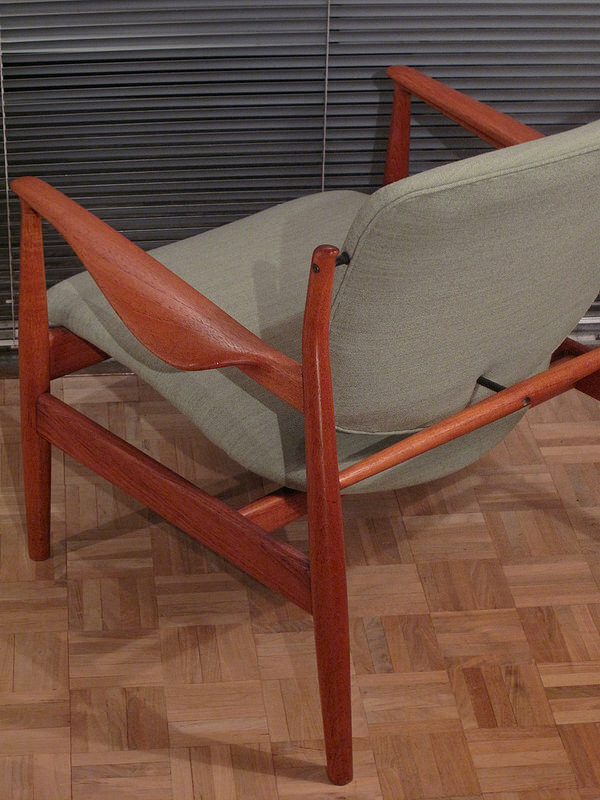 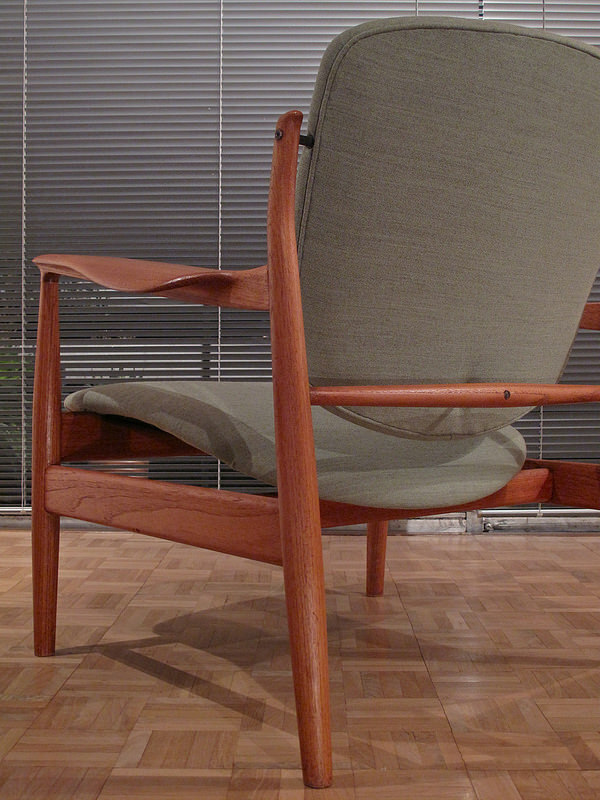 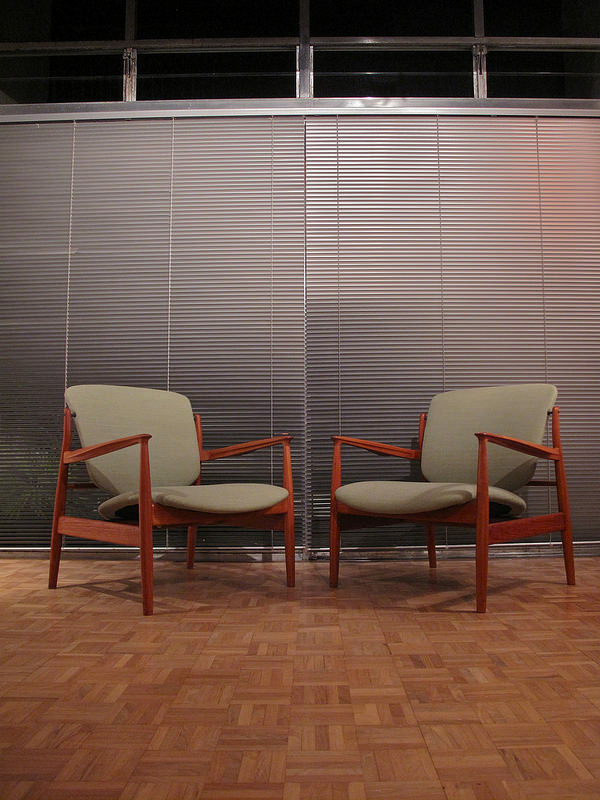 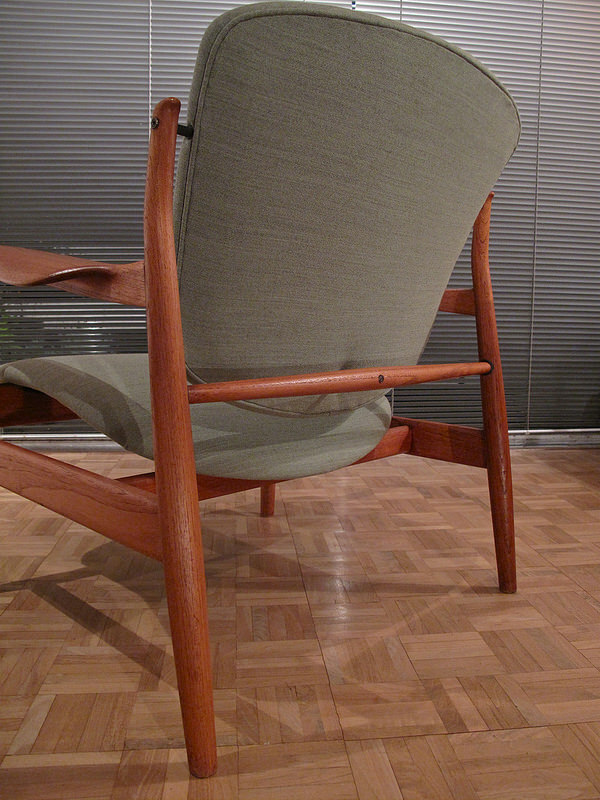 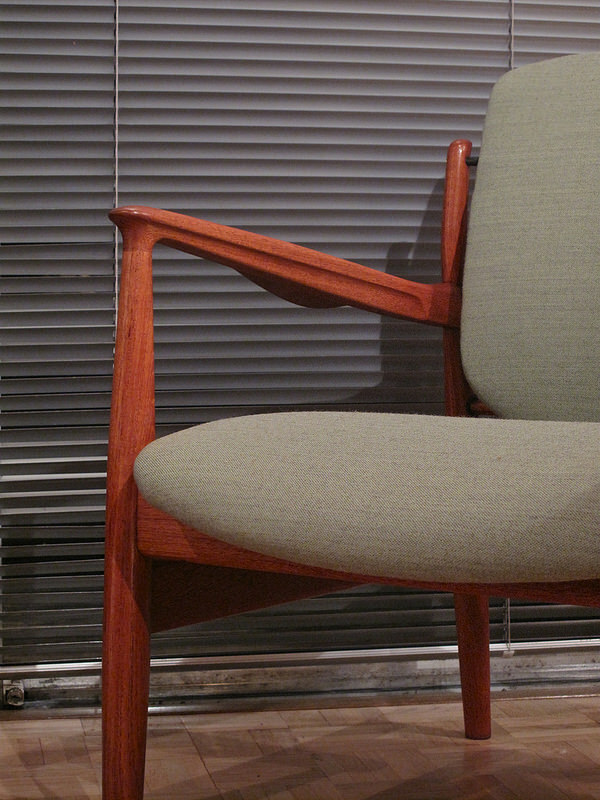 An exquisite and very rare pair of model 136 lounge chairs designed by Finn Juhl in 1956 for France & Son, Denmark. 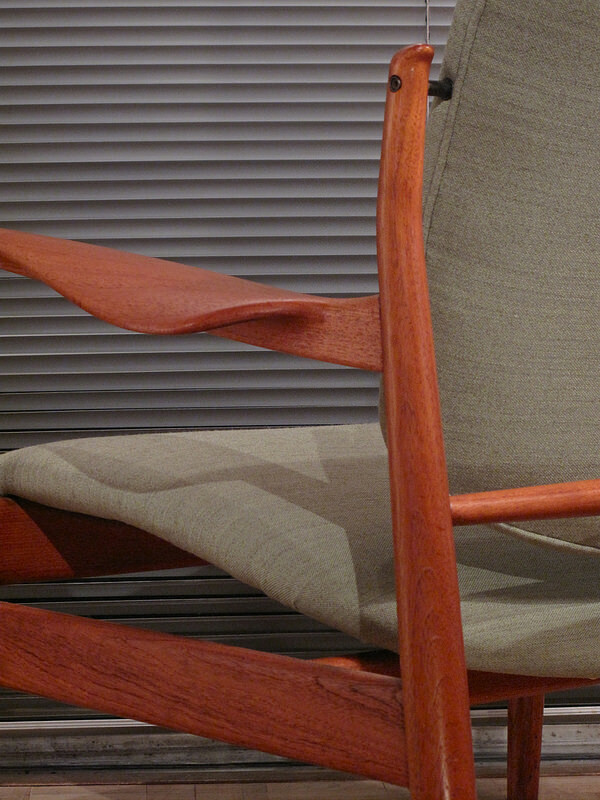 Probably the rarest pieces produced by France & Son we have ever had in stock we suspect this design was produced in very limited numbers due to the cost and complexity of construction. 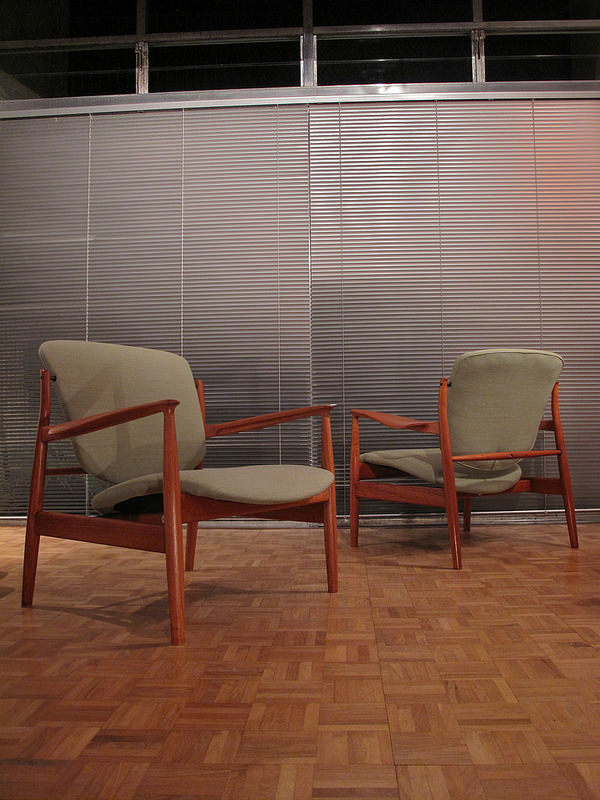 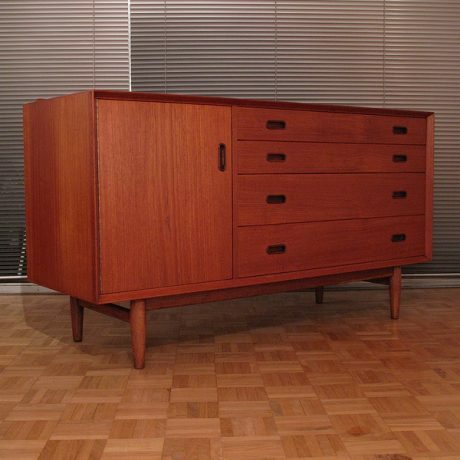 The solid teak frames are an absolute joy to look at with typical Juhl design characteristics such as floating seat supports, highly sculpted armrests and the clever incorporation of metal accents within the timber . 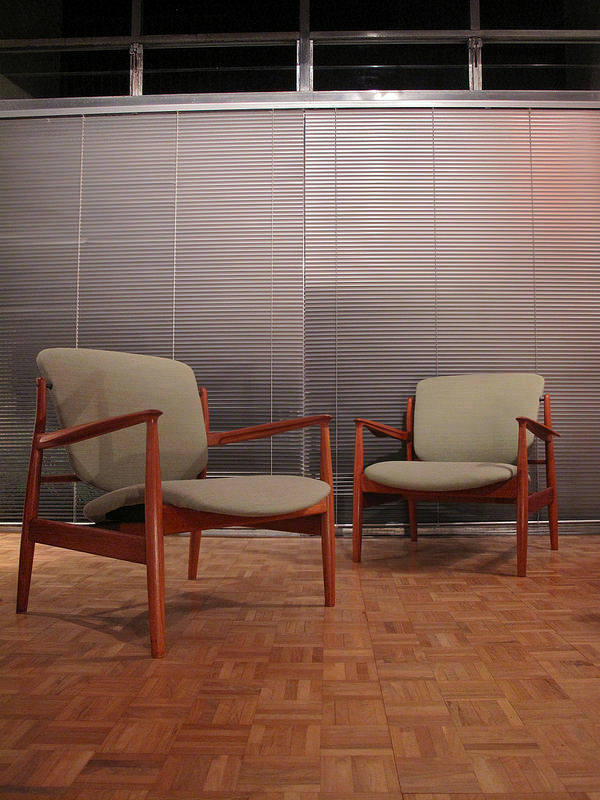 They are extremely handsome chairs. 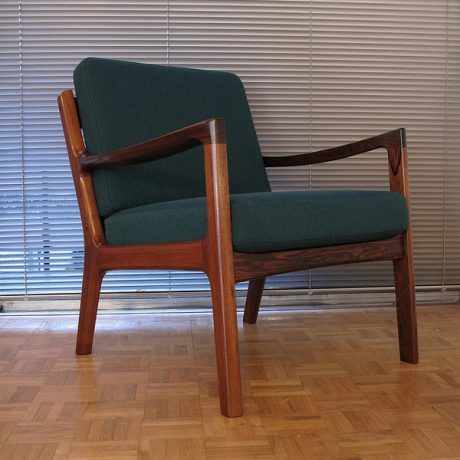 We have reupholstered in a pale green fabric with subtle grey fleck, this fabric is sourced from a small artisan weavers based in Denmark and looks stunning on these chairs. 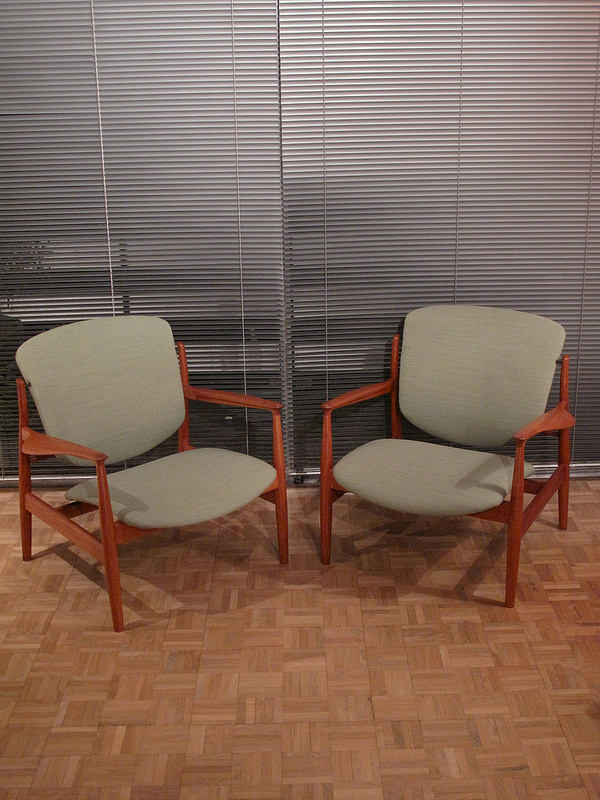 Offered in excellent condition with makers medallion to the underside of each chair.